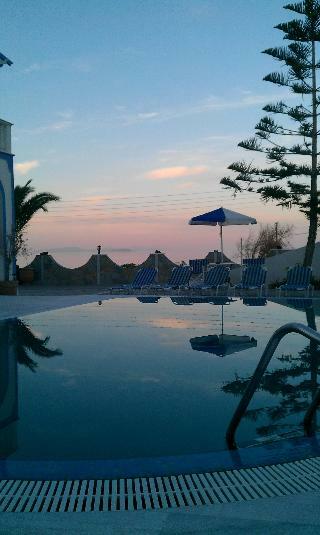 Offerte hotel SANTORINI. Scopri i nostri hotel e appartamenti più convenienti per il tuo viaggio. 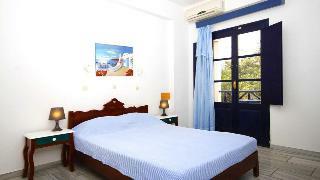 General Description: Perissa El Mar Rooms: in Perissa distributed across 2 buildings, has 16 rooms and spread over 2 floors. The hotel is located 80 m from the sandy beach. The closest city to the hotel is FIRA (11 km). The staff in this 2 storey hot..
FacilitiesThe hotel offers a restaurant, a bar and a transfer service. Wireless internet access in public areas allows guests to stay connected. There is also a garden. Those arriving in their own vehicles can leave them in the car park of the accomm..
FacilitiesWireless internet access in public areas allows guests to stay connected. There is also a garden.RoomsThe hotel features rooms with air conditioning and a bathroom. A balcony is included as standard in most rooms, offering additional space ..
Il complesso Anny Studios si trova nel centro di Perissa, a 30m dalla spiaggia, Perissa Ã¨ una delle localitÃ piÃ¹ popolari dell'isola di Santorini, con la spiaggia piÃ¹ lunga di sabbia nera, che offre varie opportunitÃ di attivitÃ sportive. Intor..
FacilitiesServices and facilities at the hotel include a safe and a wake-up service. Wireless internet access is available to guests in the public areas.RoomsRooms feature air conditioning and a bathroom. A balcony is included as standard in most roo..
FacilitiesServices and facilities at the hotel include a baggage storage service, a restaurant, a café, a bar and a library. Wireless internet access in public areas allows guests to stay connected. In addition, a shuttle service is offered.RoomsThe ..
FacilitiesThe accommodation offers a transfer service. Wireless internet access in public areas allows guests to stay connected.RoomsThe accommodation features rooms with air conditioning and a bathroom. A balcony is included as standard in most room..
LocationThe hotel is located 100 m from the centre of Karterados and 800 m from Fira, the capital of Santorini Island, the most beautiful of all the Cycladic Islands. The nearest beach is 2 km away.FacilitiesGuests can feel at home in one of the 22 r..
FacilitiesThe accommodation offers guests a total of 12 rooms. Amenities include a baggage storage service and a safe. Wireless internet access is available to travellers in the public areas. Among the culinary options available at the accommodation ..
FacilitiesWireless internet access is available to guests in the public areas. Those arriving in their own vehicles can leave them in the car park of the hotel.RoomsEach of the rooms is appointed with air conditioning and a bathroom. 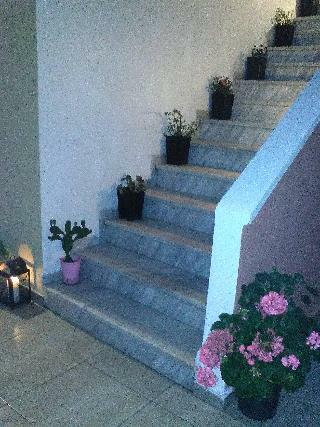 A balcony is inc..
FacilitiesGuest accommodation comprises 14 rooms. Services and facilities at the hotel include a baggage storage service, a restaurant, a bar, a transfer service and room service. Wireless internet access in public areas allows travellers to stay con..
FacilitiesGuests are welcomed at the hotel, which has a total of 29 rooms. The accommodation offers various services and facilities, including a baggage storage service, a safe, a café, a bar, a transfer service, a laundry service and a conference ro..
FacilitiesThe hotel features room service for a comfortable and relaxing stay. Wireless internet access is available to travellers in the public areas. Those arriving in their own vehicles can leave them in the car park of the establishment.RoomsEach..
Il complesso comprende 12 camere. Questo grazioso complesso residenziale Ã¨ l'ideale per gruppi e famiglie. L'Appartamento mette a disposizione dei suoi ospiti il servizio in camera. Ãˆ disponibile un servizio lavanderia. L'hotel dispone di un parche..
FacilitiesThe hotel offers guests a total of 25 rooms. Services and facilities at the hotel include a baggage storage service, a safe and a café. Wireless internet access is available to travellers in the public areas. Those arriving in their own veh..
Stavros Villas L' 3 categoria Stavros Villase situato a Thira. E' disponibile un parcheggio esterno. Gli ospiti possono cenare presso il ristorante dell' hotel. 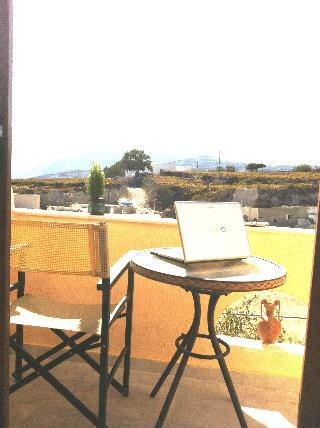 Camere all' Stavros Villas. Fumare e consentito solo in alcune camere, cosi come nelle ar..
FacilitiesA baggage storage service and a laundry service are available to guests of the accommodation. Wireless internet access is available to travellers in the public areas. There is also a garden. Those arriving in their own vehicles can leave th..